I'll be some of the characters. 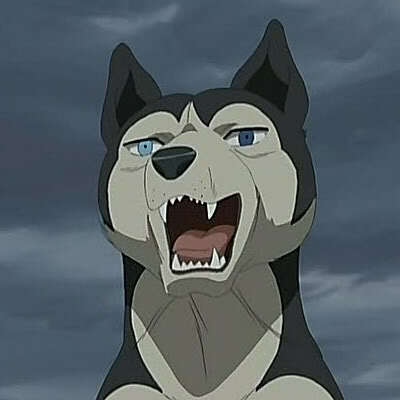 PlotSeveral years after the events of Ginga: Nagareboshi Gin, Gin's son is born in the Japanese Alps. After the puppy's mother Sakura dies, an English Setter named GB pledges to bring him to the Ohu Mountains and reunite him with his father. GB decides to name the pup Weed, after the English word for wild plant, drawing comparisons between both being "small but powerful." Upon arriving at Ohu, the pair learn that a monstrous creature is wreaking havoc and Ohu has fallen into turmoil. Gin is away, on a desperate search for his mate. Weed, GB, and the other Ohu soldiers meet a team of dogs led by the German Shepherd Dog Jerome. Jerome explains that the monster is a mutated dog that escaped from a laboratory after killing several scientists. Weed's group joins them and they succeed in killing the monster, though lose several soldiers in the process.